In today’s competitive landscape, proving your mettle is a tough row to hoe. With so much competition in the business arena, enterprises have to constantly struggle in order to maintain their positions. Amidst all this, streamlining the tasks associated with an organization’s portfolio becomes crucial; this is the reason why immaculate and cost-effective back office operations are essential for every enterprise struggling to thrive in today’s business domain. 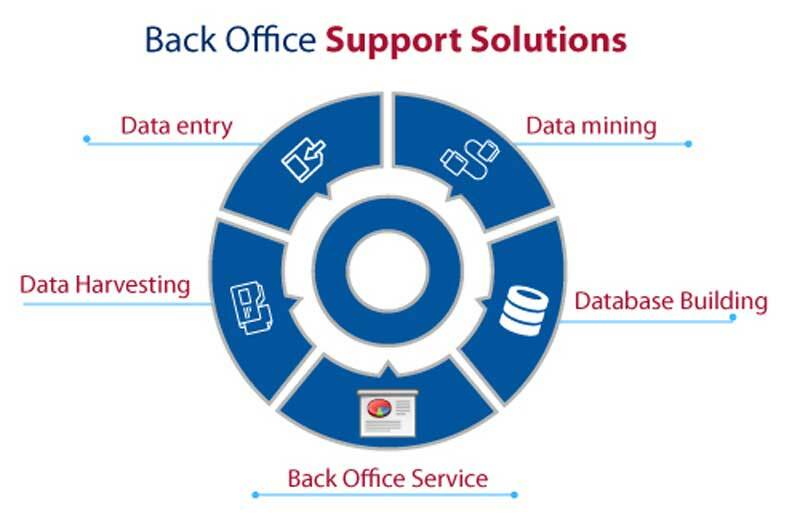 We at Vcare Corporation have been providing remunerative back office solutions since 1999 and we hold enough experience and expertise to not just meet but exceed your expectations. Our data entry services are precise and dependable, which is the reason why we have a huge clientele availing our services all across the globe. The workforce wing that manages the data entry operations in our organization is competent and proactive. Our workforce is also capable of delivering dynamic services within the allotted time frame. Apart from all this, we excel in customer database management and are capable of handling huge volumes of data without any miscue. Data mining is employed to analyze trends, patterns, relationships, and exceptions through a comprehensive study in order to extract useful information. Enterprises today deal with huge volumes of raw data that needs to be filtered in order to obtain utile information. This business process helps businesses in extracting data that can be employed to take propitious decisions. Data mining can be referred to as the art of converting raw data into valuable information that can be used for the benefit of a commercial organization. Our data management system is in accordance with global business standards and is equipped to cater to the requirements of businesses across various verticals. This system can efficiently harvest huge volumes of data and generate reliable reports for our clients. Apart from this, the team of professionals dedicated to this process is armed to keep up with the requirements of our client’s business. At Vcare Corporation, we believe in offering services that are seamless and productive and we sure can deliver exceptional data harvesting services to your enterprise. Businesses today immensely rely on data to accomplish operations that can generate revenue and contribute to the growth of the organization. When it comes to database building, you can say that we are obsessed with accuracy. Our sophisticated customer data management enables precision in data building task and helps us in delivering services that do not just meet but exceed our client’s expectations. Our client data management is certainly an asset that immensely contributes to the generation of a reliable database for our clients. So, we sure can be a dependable partner for businesses that seek dynamic data builds.